A look inside Amy Klobuchar’s quest for Senate. Sen. Amy Klobuchar took to the floor of the U.S. Senate in early October to deliver a speech about bipartisan opioid legislation. On the same day the Senate was engulfed in partisan rage over the Supreme Court nomination of Brett Kavanaugh, she repeatedly emphasized her collaboration with Republican colleagues. “Senator Graham and I have been trying to pass this for a long period of time, and I am glad this is finally getting done,” Klobuchar said of a measure to crack down on synthetic opioids. Just hours earlier, that same colleague — Sen. Lindsey Graham of South Carolina — had gone on Fox News and demanded that Klobuchar “apologize for being part of a smear campaign” against Kavanaugh. She was “well aware” of Graham’s TV remarks, Klobuchar said later in an interview, but she still mentioned their partnership multiple times. Later that day, with little fanfare, the Senate approved the opioid measures and sent them to President Donald Trump, who is expected to sign them into law. Even as Washington and the nation were swept up in the bitter clash over Kavanaugh, a drama in which Klobuchar played a central role, she refrained from more outspoken displays of partisanship. Amy Klobuchar spoke with attendees of the Blacks in Tech Conference breakfast before speaking during the program in St. Paul, Minn.
After a dozen years in the Senate, Klobuchar’s part in the Kavanaugh drama pushed her further into the Washington spotlight. Already frequently mentioned as a presidential prospect for Democrats in 2020, Klobuchar can expect that speculation to intensify if she wins in November. 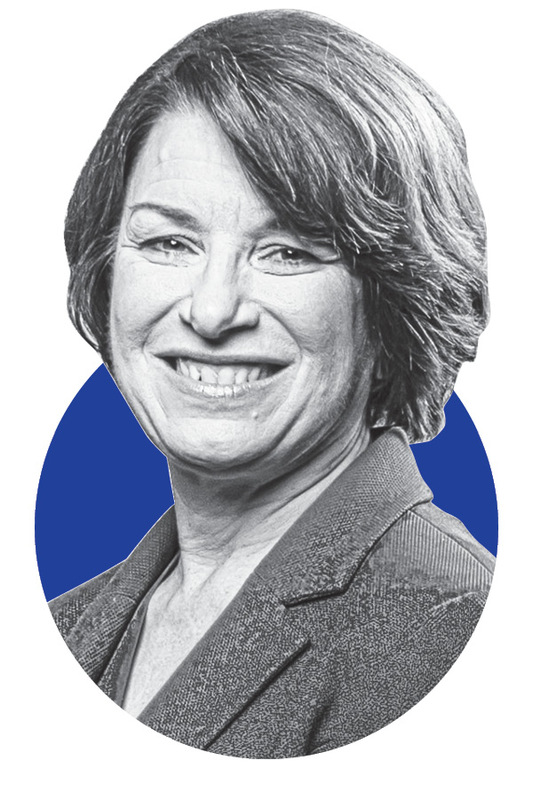 Even as her national image grows — the Kavanaugh hearings earned her a “Saturday Night Live” portrayal, which led to a People magazine article — Klobuchar has continued to pursue a work-across-the-aisle, pragmatic style of politics. The opioid legislation is an example of the kind of broadly supported, consumer-style issues that she has made a brand, even in the face of historic rancor between Republicans and Democrats in Congress. It’s an approach that has set Klobuchar apart from a handful of other Democratic senators who have also drawn buzz as 2020 contenders. The left-leaning national news and opinion website Vox recently called Klobuchar “the electability candidate” in noting her approval ratings in polls in Minnesota have been among the highest for any statewide politician around the country. Still, her frequent bipartisan emphasis could raise questions among more left-leaning Democratic activists as they weigh presidential options. Says her one aim in the Senate is a strong Minnesota. Tries to work with Democrats and Republicans to strengthen economy. Ranked first among all 100 senators for bills enacted into law in 2016. Taxes: Supports bringing down business and middle-class tax rates. National debt: Does not back cuts or privatization of Social Security or Medicare. Immigration: Has worked to pass a comprehensive system reform. Health care: Says Congress must improve the Affordable Care Act. Guns: Supports universal background checks, closing the gun show loophole. See where Klobuchar and other Senate candidates stand on key issues. Klobuchar’s Republican opponent, state Rep. Jim Newberger, rejected the idea that she’s a moderate. He called her a reliable rubber stamp for Democrats. “Sen. Klobuchar has a very effective propaganda machine that’s worked very hard to create an image … [that] doesn’t line up with who she is in Washington, D.C.,” Newberger said. But Klobuchar’s massive fundraising advantage and hefty lead over Newberger in recent polls have left her widely expected to prevail. “Nobody has any chance of pushing her out,” said former Sen. Dave Durenberger, a moderate Republican who occupied Klobuchar’s Senate seat from 1978 to 1995. A Minnesota native, Klobuchar, 58, is the daughter of Jim Klobuchar, a former longtime Star Tribune columnist who retired in 1995. She and her husband, John Bessler, have an adult daughter. After Yale and then a law degree from University of Chicago, Klobuchar worked as a private attorney until 1998, when she was elected Hennepin County attorney. In Senate speeches she often refers to her prosecutorial past. In 2016, Medill News Service ranked Klobuchar first out of 100 senators in the number of bills signed into law in 2015-16. She has pushed for cheaper prescription drugs, worked to pull a range of unsafe products off store shelves, opposed corporate mergers in the name of consumer fairness, fought human trafficking and, this year, emphasized the need to protect U.S. voting systems from Russian interference. Even as she tends to Minnesota constituencies — Klobuchar often mentions how she visits all 87 counties every year — she has courted the state’s top corporate leaders. Best Buy CEO Hubert Joly recounted how he and other retail executives were eating with Klobuchar in the Senate dining room last year when she introduced them to some colleagues: New York Sen. Chuck Schumer, the leader of Senate Democrats, and Sen. Ted Cruz, the fiery Texas ­conservative. Klobuchar was greeted by supporter Bill Biros, right, as she chatting with other elected officials following the I-94 West Corridor Coalition Groundbreaking Event in Albertville. Some on the left wish Klobuchar was more willing to make waves. She has not publicly supported single-payer health care, instead focusing on defending the Affordable Care Act. Nor has she joined calls to abolish U.S. Immigration and Customs Enforcement, noting that immigration enforcement is still needed. In early October, as the Capitol buzzed over the release of the FBI’s report on its supplemental investigation of Kavanaugh, Klobuchar joked during a weekly breakfast for constituents that there was a lot going on. She highlighted the Senate’s passage of enhanced consumer protections and investments in the aviation industry, the opioid and farm bills, and a rural broadband hearing she would help lead in a few hours. After the event, Klobuchar deflected questions about 2020 but said that anyone who runs has to pay attention to Middle America.